This Year we are welcoming back some familiar faces and also welcoming some new people to our 2014 Workshop Faculty. Joining us this year are our Workshop Directors Brad Muirhead and Stephen Robb. Also teaching once again this year are Len Aruliah (saxes), Dr. Jared Burrows, Rob Kohler, and “Steamin'” Stan Taylor on the Drums. We will also be announcing a couple of special guest artists this summer as well in the coming weeks. New to this year’s faculty will be Kevin Lee, (trumpet). 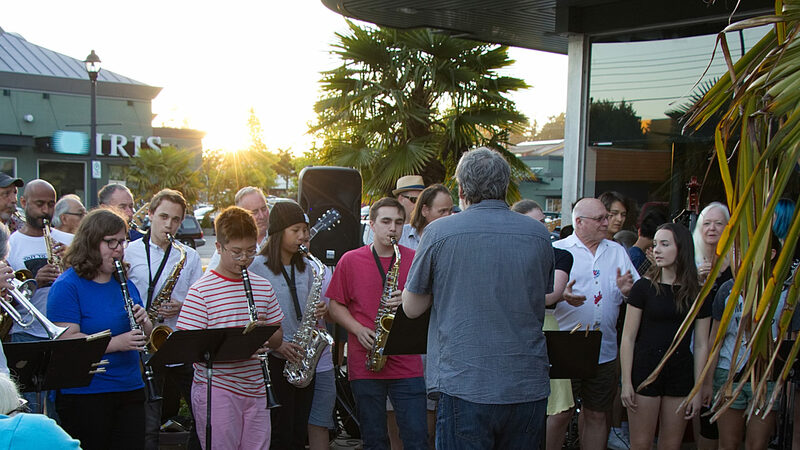 Kevin is a well established local jazz player and educator, teaching for many years in the Surrey School district and leading the bands at Semiahoo Secondary School in Surrey. Kevin will be a welcome addition to this year’s faculty.